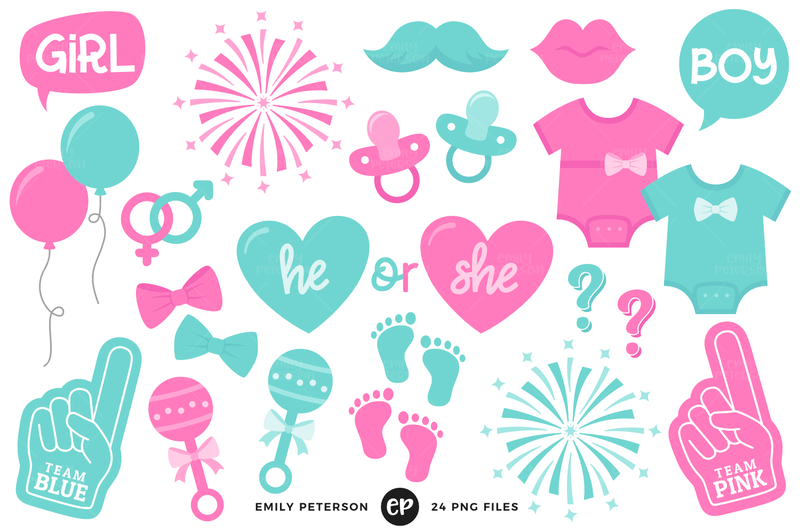 A friend suggested I create a Gender Reveal clipart set and here is the result! 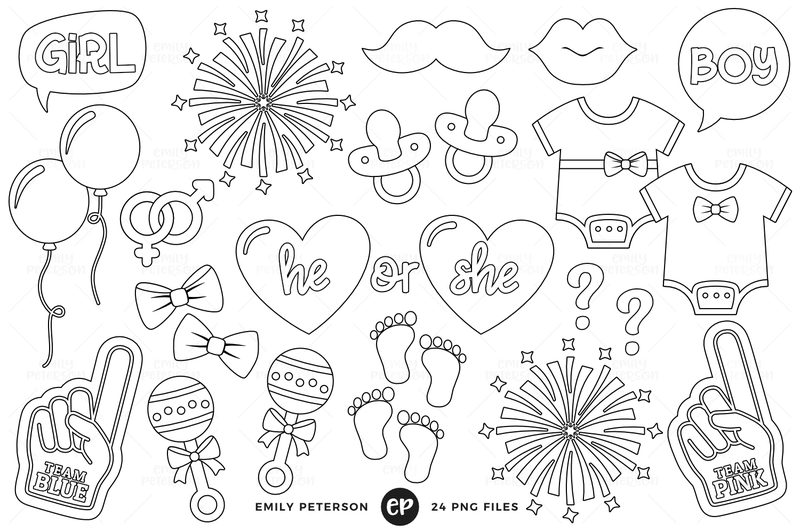 You'll find several different items perfect for various Gender Reveal party themes. 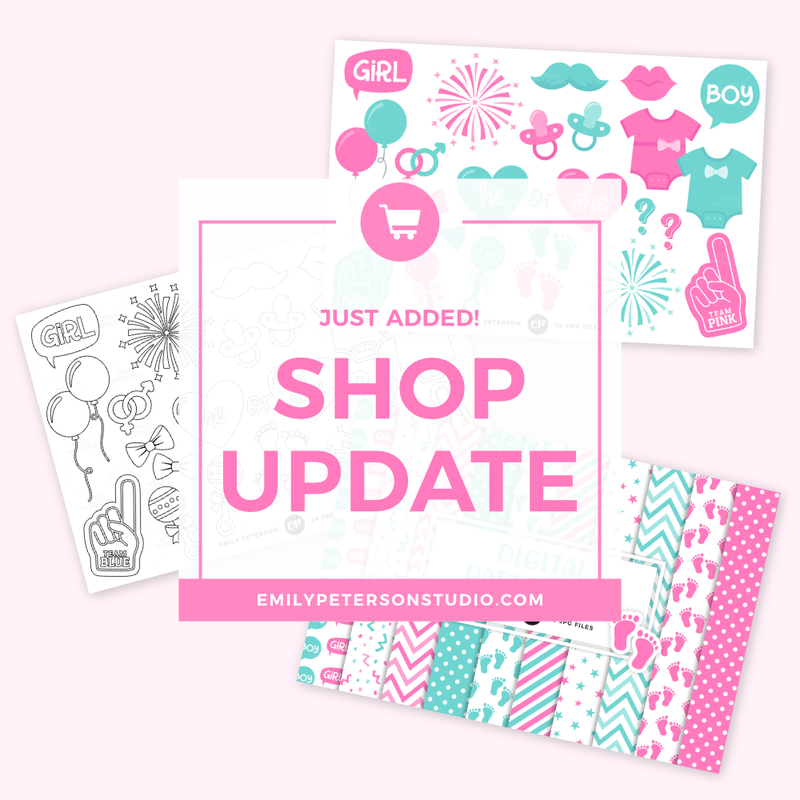 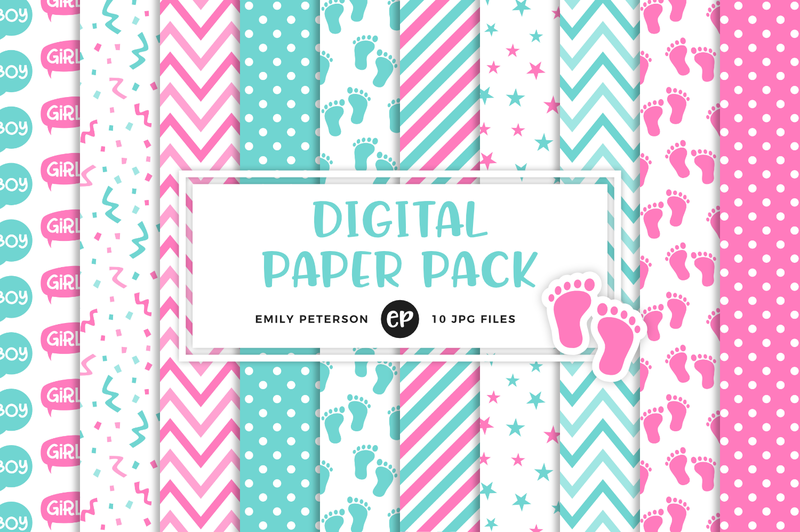 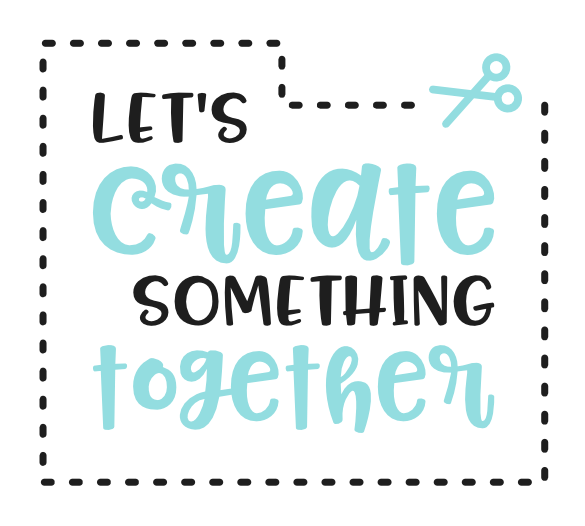 Matching digital papers & digital stamps are also available!